A Chinese general who once threatened to use nuclear weapons against hundreds of U.S. cities will visit the Pentagon this week as part of a U.S.-China military exchange program. Maj. Gen. Zhu Chenghu, who is head of China’s National Defense University, will take part in a "familiarization exchange," Maj. Catherine Wilkinson, a Pentagon spokeswoman, told the Free Beacon. "The delegation will visit Hawaii and D.C.," she said. "A military delegation from the U.S. Pacific Command will visit China later this year for a reciprocal exchange." Zhu will lead a group of 10 senior colonels from all branches of the Chinese military, Wilkinson said. She declined to provide the names of the officers. Zhu is best known for inflammatory comments made to two foreign news reporters in 2005 when he said China would use nuclear weapons against the United States in any conflict over Taiwan. A State Department spokesman at the time called the comments "highly irresponsible." "If the Americans draw their missiles and position [sic]-guided ammunition onto the target zone on China’s territory, I think we will have to respond with nuclear weapons," Zhu told reporters for the Financial Times and the Asian edition of the Wall Street Journal, according to their July 14, 2005, editions. The comments raised questions within the Pentagon about the sincerity of China’s policy of not being the first to use nuclear weapons in a conflict. Zhu’s comments also were the most explicit statement of Chinese strategic intent since 1995 when another general, Xiong Guangkai, implicitly threatened to use nuclear arms against Los Angeles if the United States defended Taiwan in a conflict. "If the Americans are determined to interfere … we will be determined to respond," Zhu said. "We Chinese will prepare ourselves for the destruction of all of the cities east of Xian [in central China]. Of course the Americans will have to be prepared that hundreds … of cities will be destroyed by the Chinese," he said. Then-State Department spokesman Sean McCormack criticized Zhu’s comments as "highly irresponsible." "We hope that these are not the views of the Chinese government," he said. "The United States is not a threat to China. We have a broad and deep relationship in which we try to work closely with the Chinese government on a variety of issues, and I think that the remarks from that one individual are unfortunate." Wilkinson said Zhu was speaking personally and that "we agree with Sean McCormack's response [to reporters] in 2005 that while the remarks are highly irresponsible, we do not believe they reflect the official view of the Chinese government. General Zhu said that they were his personal remarks, not official policy." Chinese spokesman later claimed the comments did not reflect official policy. However, the Pentagon’s latest annual report on China’s military stated that China has not clarified its policy. Sen. James Inhofe (R., Okla.), the ranking member of the Senate Armed Services Committee, said Zhu’s visit is an opportunity to learn more about China’s nuclear weapons intentions that "have long been inscrutable to experts in the United States." "We do know, as the congressionally mandated U.S.-China Economic and Security Review Commission reported last year, that ‘China has assumed a more muscular nuclear posture, which ongoing improvements will continue to enhance,'" Inhofe said in a statement to the Free Beacon. "Before the President reaches out to Russia for yet another round of U.S. nuclear reductions, we should know more about how such reductions will affect the nuclear balance with China," he said. Zhu’s comments called into question the stated Chinese policy of not being the first nation to use nuclear weapons in a conflict. Zhu said the no-first-use policy did not apply to nuclear-armed states. He said the policy was limited to nonnuclear states and could be changed. The Pentagon’s 2012 report to Congress on China’s military stated, "There has been no clarification of the ambiguity regarding the conditions under which China’s [no-first-use] policy might not apply or where conditional nuclear threats might be permissible." The 2011 annual report said it is possible that China’s military considers "demonstration [nuclear] strikes, or high altitude [nuclear] bursts" as permissible under its doctrine. It also said it is unclear whether Chinese doctrine allows the use of nuclear weapons in response to a conventional strike that threatened its nuclear forces or the communist regime, as Zhu stated in 2005. Zhu also is a signatory to the Global Zero anti-nuclear manifesto that became a central issue during the Senate nomination battle over Defense Secretary Chuck Hagel. Hagel helped author a major study for the international anti-nuclear weapons group that called for radical denuclearization, including possibly unilateral U.S. nuclear cuts. Hagel came under fire from several Republicans who said his nuclear views were outside the mainstream of U.S. national security policy. He sought to distance himself from the Global Zero report but remained one of the group’s signatories, along with Zhu. Chinese government spokesmen later sought to clarify Zhu’s 2005 remarks as his personal comments. However, China specialists say no Chinese general would make such personal comments for fear of being fired. 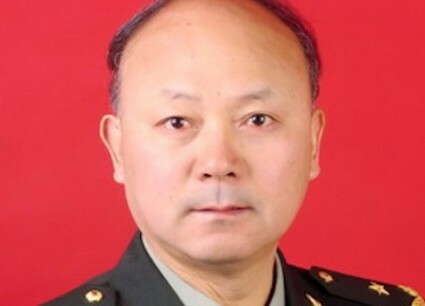 Zhu was neither reprimanded nor fired after the comments, an indication his remarks reflected official military policy. Wilkinson, the Pentagon spokeswoman, did not respond when asked if officials had reservations about inviting a Chinese general who threatened nuclear strikes against the United States. However, former State Department official John Tkacik, a China affairs specialist, said Zhu’s comments in 2005 undermined Beijing’s public nuclear policy and was authorized the Central Military Commission, the ultimate power organ in communist-ruled China. Zhu also was never penalized for the comments and in fact was later promoted, Tkacik said. "Gen. Zhu's propensity to threaten nuclear war against adversaries without regard for China's supposed commitment to ‘no first use,’ his subsequent military promotions and his continued prolixity in China's official communist party media should be a clear signal to American policy-makers that Chinese state policy is to use nuclear weapons as an instrument of intimidation," Tkacik said in an email. Zhu’s visit is part of the Pentagon’s unrestricted military exchange program that critics say has benefited China’s military buildup in the past by providing key warfighting advice, despite congressional restrictions that prohibit the exchange of any information with Chinese military visitors that could undermine U.S. security. Legislation was passed as part of the 2000 Defense Authorization Act that limited Chinese exchanges to sites and information that did not boost Chinese power projection capabilities or nuclear forces. However, the Pentagon has largely ignored the law and frequently provided access to sensitive U.S. military facilities, including war game experimentation centers. The legislation was passed after China learned a key vulnerability of U.S. aircraft carriers during one visit in the late 1990s. According to defense officials, a Chinese military visitor asked a U.S. Navy officer where the most vulnerable point of a carrier is located. He was told that it underneath the ship near its ammunition magazine. Months after the disclosure, China was detected by U.S. intelligence agencies purchasing high-technology wake-homing torpedoes from Russia that can dive beneath a ship and strike underneath.